Mango and avocado just work together. Combined in smoothie form, they make for a creamy, dreamy, islandy treat. 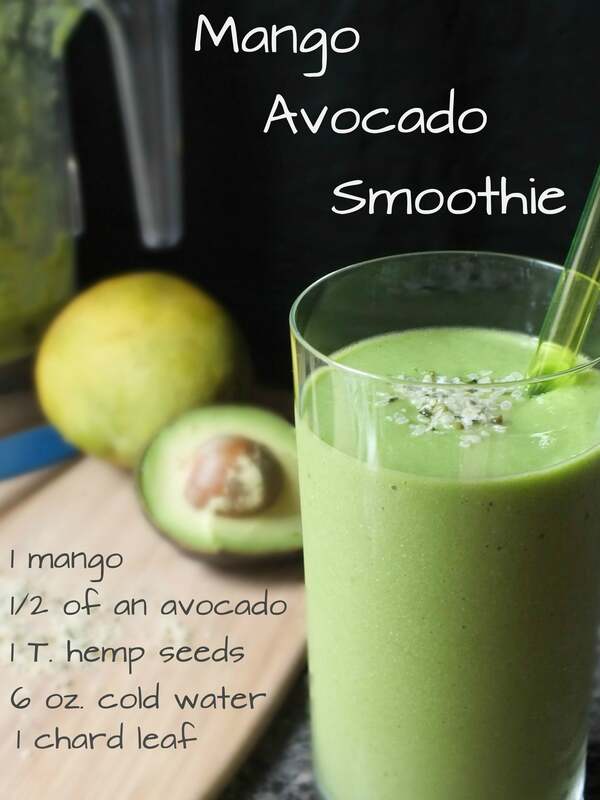 A tablespoon of hemp seeds makes this drink extra filling and adds 3 grams of protein. Combined with 3-ish grams from the avocado half, that makes for 6 to 7 grams of protein in one glass. Hemp seeds also boast 20 amino acids and are the richest known source of polyunsaturated essential fatty acids. And no – they won’t get you high. The chard leaf provides a serving of greens and doesn’t affect the flavor at all. Drink up!